After speaking with Nisha and Noria who are responsible for teaching EAL at Great Barr Academy, we caught up with Hannah Legood, the induction coordinator. As an induction coordinator she is responsible for teaching EAL pupils a bit of Maths, English and Science to introduce them to keywords, so that they will feel more at ease when entering a mainstream classroom. 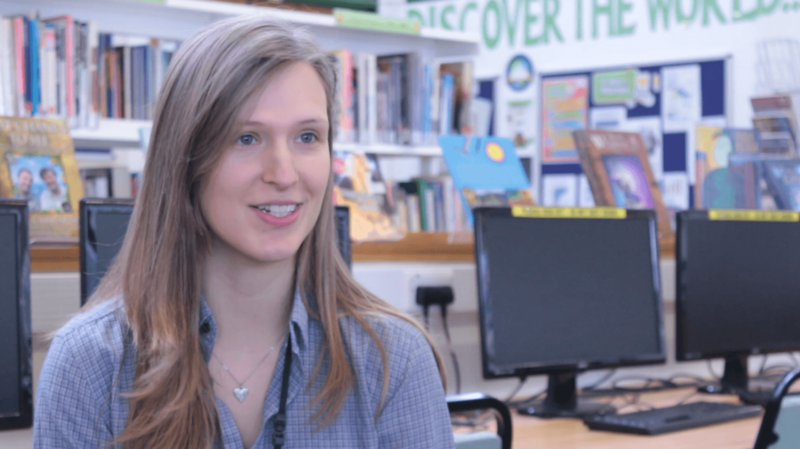 You can check out the other interviews with staff at Great Barr Academy on our blog. Can you tell us about some of the challenges of teaching EAL? How has using FlashAcademy® helped your pupils? Can you each tell us about one pupil, their challenge and how they have benefited from FlashAcademy®? How has FlashAcademy® impacted you as a teacher? Is FlashAcademy® something you would recommend to other school teaching EAL?